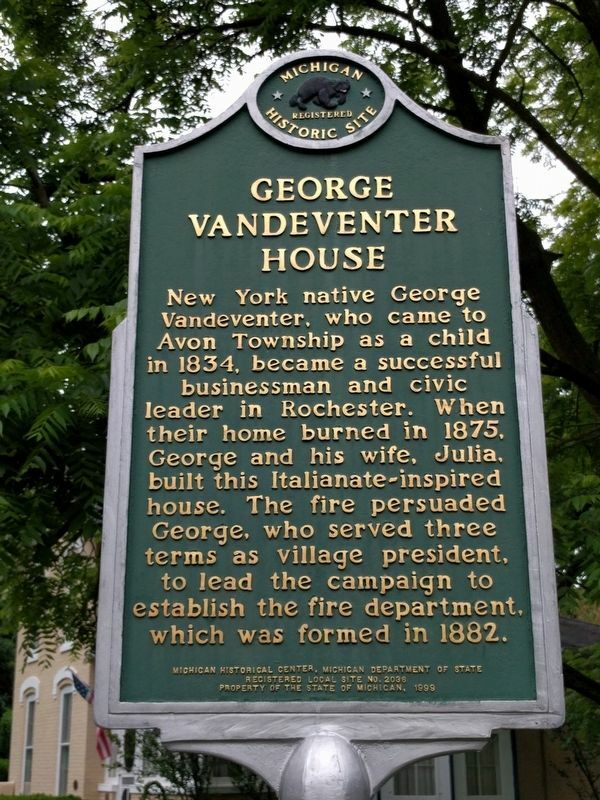 New York native George Vandeventer, who came to Avon Township as a child in 1834, became a successful businessman and civic leader in Rochester. When their home burned in 1875, George and his wife, Julia, built this Italianate-inspired house. The fire persuaded George, who served three terms as village president, to lead the campaign to establish the fire department, which was formed in 1882. Location. 42° 40.764′ N, 83° 8.243′ W. Marker is in Rochester, Michigan, in Oakland County. Marker is at the intersection of West Third Street and Oak Street, on the right when traveling west on West Third Street. Touch for map. 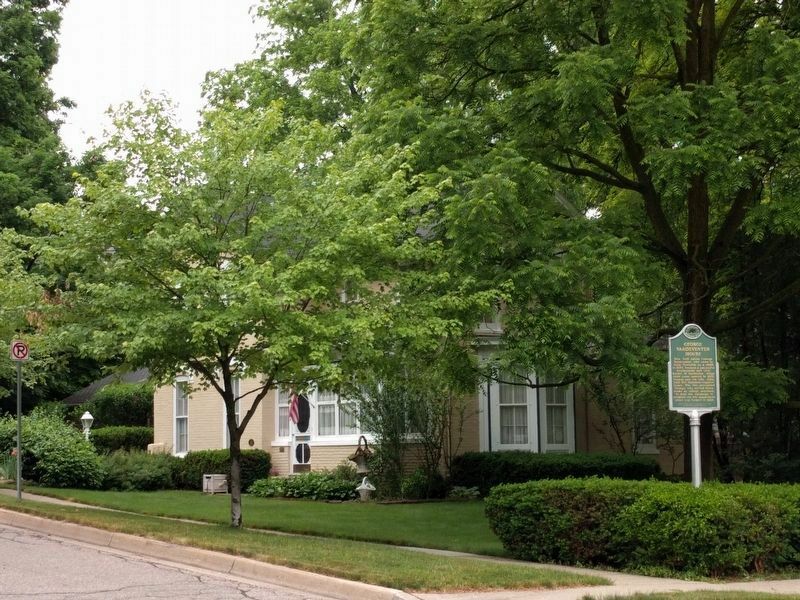 Marker is at or near this postal address: 404 West Third Street, Rochester MI 48307, United States of America. Touch for directions. Other nearby markers. At least 8 other markers are within walking distance of this marker. Township Hall (about 600 feet away, measured in a direct line); Three-faced Clock (approx. 0.2 miles away); Rollin Sprague Building (approx. 0.2 miles away); Mount Avon Cemetery (approx. 0.2 miles away); Rochester Opera House (approx. 0.2 miles away); Masonic Block (approx. 0.2 miles away); City of Rochester, Michigan (approx. ¼ mile away); The Torch (approx. ¼ mile away). Touch for a list and map of all markers in Rochester. More. 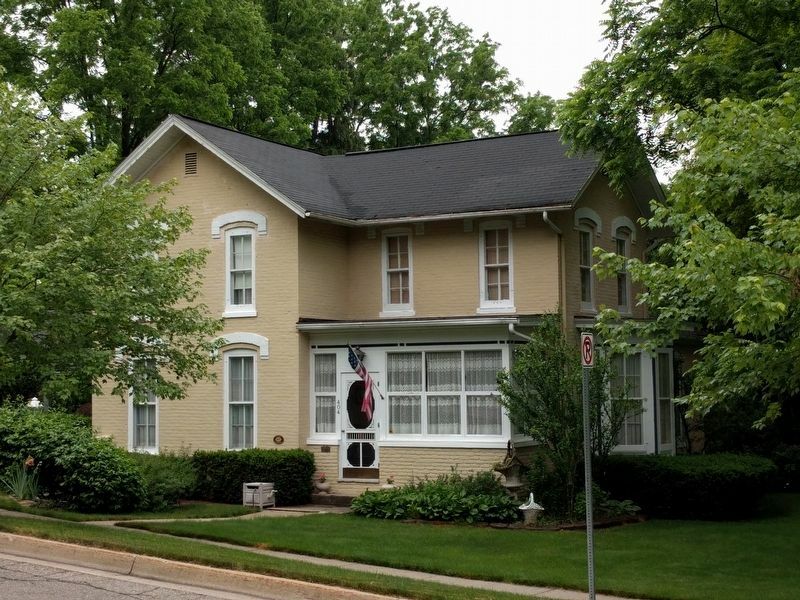 Search the internet for George Vandeventer House. Credits. This page was last revised on June 14, 2018. This page originally submitted on June 14, 2018, by Joel Seewald of Madison Heights, Michigan. This page has been viewed 60 times since then and 8 times this year. Photos: 1, 2, 3. submitted on June 14, 2018, by Joel Seewald of Madison Heights, Michigan.